The Youth Equity Strategy (YES) is youth led with the support of youtth workers. It provides young people with the opportunity to be active in their community. YES were recently awarded a 'Highly Commended' achievement award at the Victorian Local Governance Association (VLGA) and Youth Affairs Council of Victoria (YACVic), READYS - Recognising Excellence Awards for Delivering Youth Services. YES were recognised for acknowledging diversity, equity and inclusion as key values of the program and for recognising all young people across the municipality. 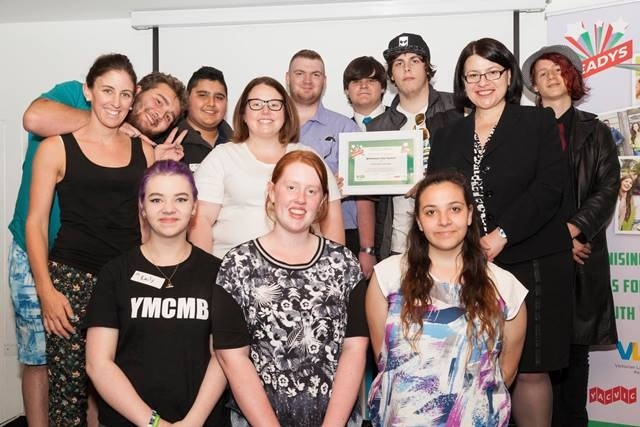 Pictured below are the YES participants with Jenny Mikakos, Minister for Minister for Families, Children and Youth Affairs.